For people passionate about laundry and maintaining beautiful linens there is only one place to go to, The Laundry . 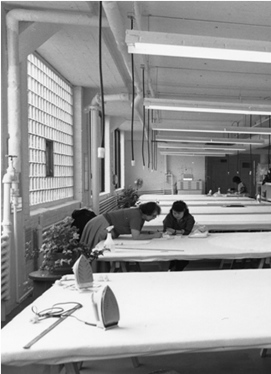 The company has been using time honored techniques to maintain the linens of the rich and famous for over 50 years. 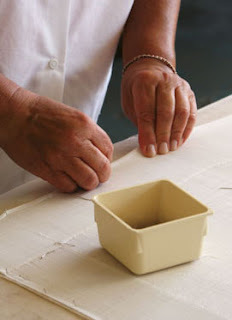 Known for their meticulous care of the finest linens, its stellar reputation is well earned, even Martha Stewart uses them. Its true that only a happy few can afford to ship their sheets and table lines to have them cared for on a regular basis. I am happy to report that anyone can now be a part of their magic. The laundry is now offering their environmentally friendly secret formula detergent for sale at retail. I have used it and its really great for not only washing but as a paste for stain removal. Their website also features a great section of tips on how to wash, dry and iron. Every clients linens are carefully inspected to determine the appropriate care and technique to be used. It’s all about rapt attention to detail. 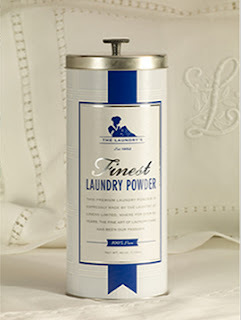 The detergent comes in this stylish reusable canister.